This year's theme-- "Conserving, Recycling, and Winterizing"--promises some tips and pointers for every Gulf Coast gardener/ homeowner. Along with the cottage and grounds of the House Museum, we've booked three private gardens for touring: Joe Sumners' on Old Galveston Road, the Stuksas' on Troon Drive, and the Webbs' on Highland Drive. 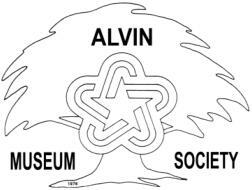 Once again, Alvin Garden Club's Annual Flower Show will be part of our line-up, and we'll have the usual Plant Sale out of the House Museum garage. There are two ways for every AMS member to help. The Graefs will bring in some blooming plants from Smith Nurseries for our sale, but we'll also need donated plants of all kinds. 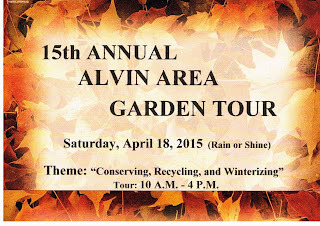 Please think of our event during your spring cleanup. And please get ready to say "yes" when an AMS member calls to sign you up for a two-hour workshift at one of the sites. 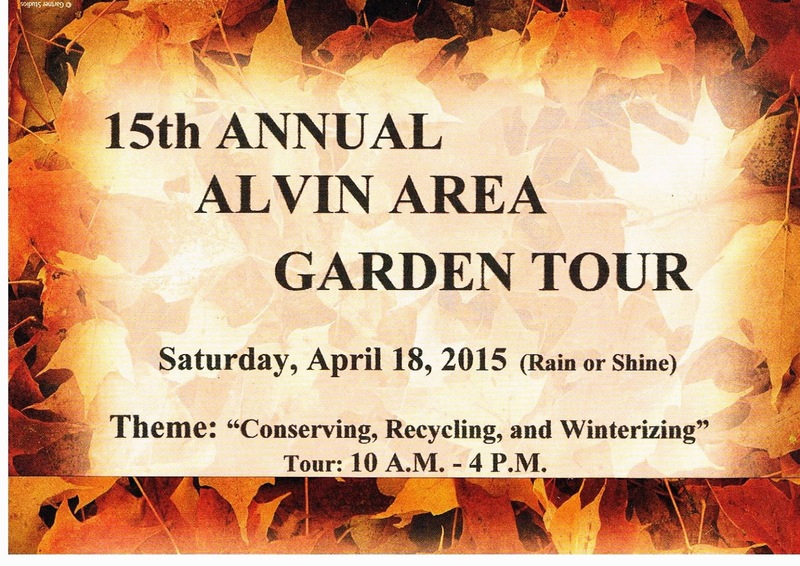 We'll need plant cashiers and sale watchers, ticket takers and garden watchers. No "job" is difficult, but all are necessary to the success of our event. Sign-up sheets will be out at the February AMS meeting, and calls will begin after that to complete our workforce. If there is a particular job you'd like to sign up for early, please call Pat Klopp at 281-393-1538. Before most calling begins, she will be looking for various kinds of help: counting out and batching tickets and flyers in February for distribution to our advance ticket sellers and for inclusion in our cash boxes; doing some "superficial" cleaning of the cottage and outbuild-ings and/or receiving donated plants on the Friday before the event; chairing tour sites (picking up supplies and set-ting up ticket table and/or taking it down and returning supplies to the House Museum) on the day of the event. Remember that your loyal AMS participation is what keeps our event successful!